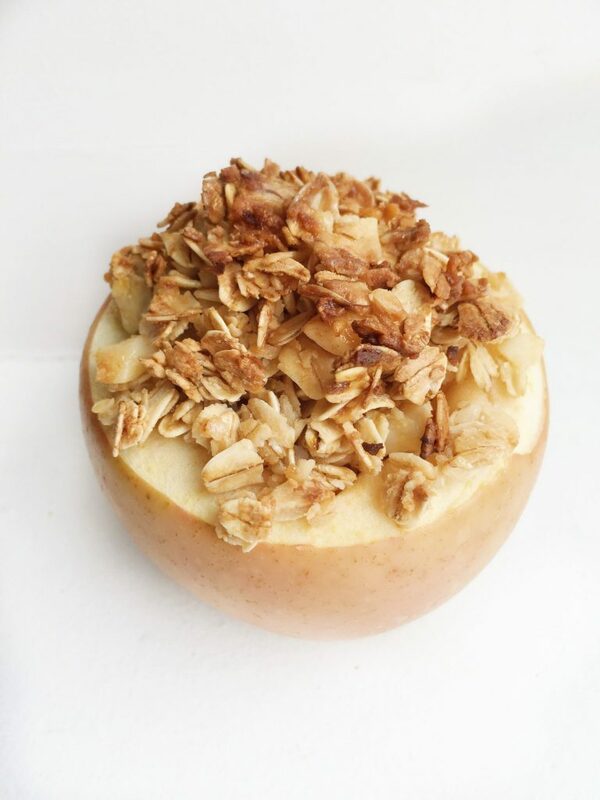 An Oatmeal STUFFED Baked Apple, yes it is happening..
My apartment smells AMAZING right now. It may be because I just made an Oatmeal Stuffed Baked Apple that smells and tastes like apple pie. I seriously want to jar this and make it into a candle because this scent is basically everything I love about Fall in 1. By now you have heard me talk about my love for apples a little too much but I mean it’s apple season so what do you expect? We have Apple Pie Chia Seed Pudding, Fall Superfood Salad, Apple Blondies and now I am here to chat about my Oatmeal Stuffed Baked Apple. There is nothing bad that can come out of the combination of oatmeal, maple syrup, coconut oil, vanilla, cinnamon and my new favorite topping, Nuts Over Fish. I know what you’re thinking, um Rachel you added a fish topping to your stuffed apples? And the answer to that is yes I did. 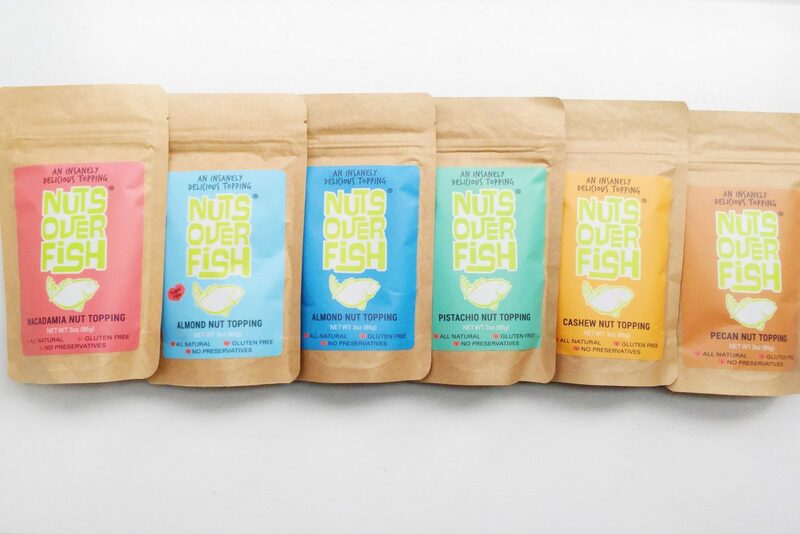 But don’t be deceived by the name Nuts Over Fish. This amazing gluten free product combines such delicious nuts and seasonings together to enhance the flavor of any food. It is made particularly to pair with fish but after trying the Macadamia nut topping, I wanted to bake something with it. The blend of macadamia nuts, coconut, light brown sugar, pineapple, ginger and subtle garlic was such a unique and flavorful combo. 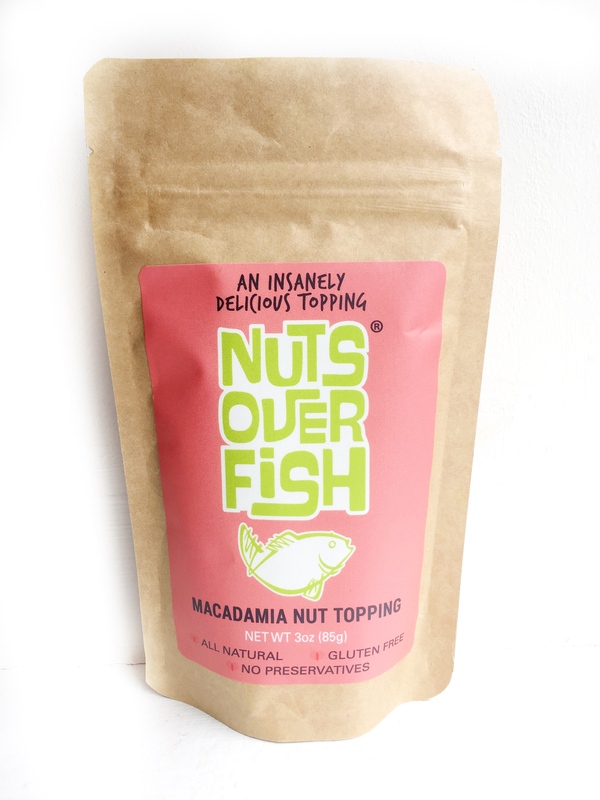 And it get’s better, Nuts Over Fish doesn’t stop at just Macadamia nut toppings. 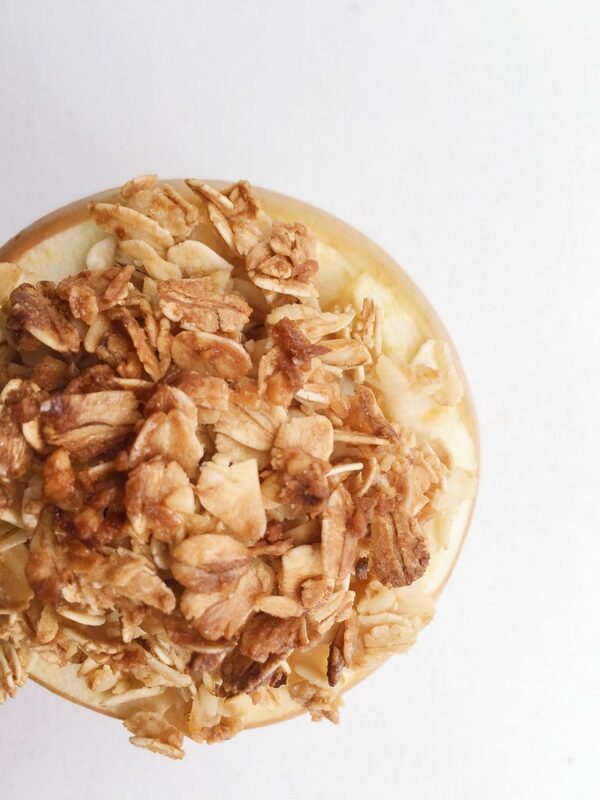 They have six other topping flavors including: Almond, Pecan, Pistachio, Sugar Free Almond and Cashew. I am so excited to keep experimenting with their product. The possibilities are endless with fish, vegetables, salads, more baked goods, and on! 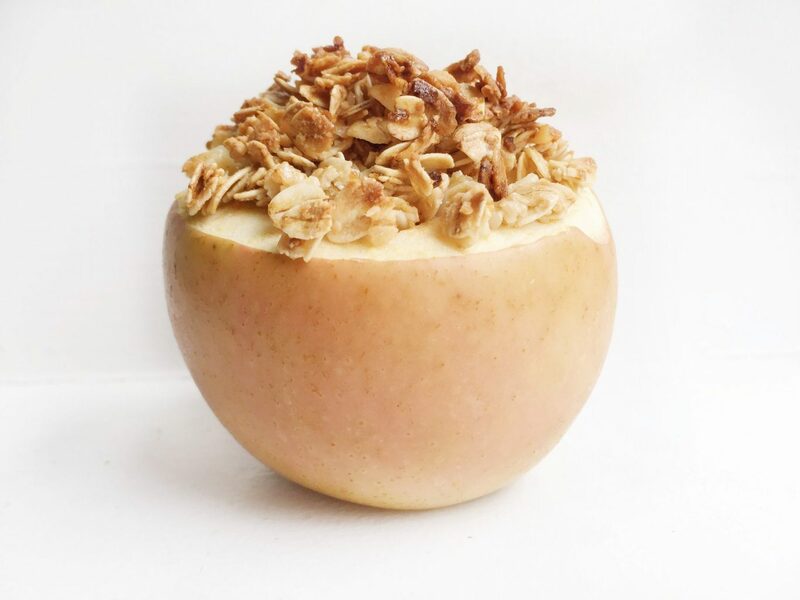 So back to my Oatmeal Stuffed Baked Apple. I only made 1 of these since I am only 1 person but you can make as many as you’d like. They are such a delicious and wholesome breakfast, snack or dessert idea and SO easy to make. Top with more maple syrup, greek yogurt, anything you wish! Okay so how did you know my favorite food ever was apples???? this is pretty much like apple pie in a new form which= LOVE! heck YES sista! except it’s light, healthy and still tastes so yummy!